Wow! This day of video premieres is just not stopping! Here are 3 more videos all quickly mashed up into this 1 post. The first video is for Lloyd's "How We Do It (Around My Way)" featuring Ludacris. I really love the green-screen effects, and glad to see both these dudes back. The next video is Lil' Mama's video for her song called "L.I.F.E.". I'm not really a big fan of her music, but the song and video both have really great meanings. And the final video, is for Carrie Underwood's track "Last Name". I'm not a fan of country, but this I guess is a decent song. The video continues off from where her hit video "Before He Cheats" left off. I really like this concept and i know it will be an instant classic! Enjoy 'em! Lloyd featuring Ludacris ~ "How We Do It (Around My Way)"
Carrie Underwood ~ "Last Name"
Any avid reader of this blog knows how much I love Nicole Scherzinger. After many failed singles, Nicole returned back to recording with the Pussycat Dolls. But she is not about to leave the solo scene just yet. She has recorded a cover of Duran Duran's song "Rio" for a bodywash commercial. Here is the video premiere for the song, and I really like it. I don't really care for the song, but the video is so colorful and summerish, still being very simple at the same time. But that's ok if your not liking Nicole's solo material. PCD's first single off the new album is set to be released later next month! Enjoy! With so many hits behind his back, Chris Brown just seems unstoppable. His latest single, "Forever" off the re-release of his album ''Exclusive'' is just fire, and one of my favorite songs released this year. Everything about this song is hot, except the video. I mean, yes the effects are nice and cool, but the video i just a bit too boring for Chris. But this is still his overall best song ever. The "The Way I Are" type beat is really working good for him. Enjoy! Atlanta rapper, T.I. has been through a lot of sturggles and hardships, aswell as glorious moments through his musical career. His first single off his his latest effort, ''The Paper Trail'' perfectly explains all of these issues. The song is called "No Matter What" and I think it has possibly the saddest lyrics I have ever heard in a hip-hop track. T.I. proves he is no where lost and he will be back with a great comeback. Even though this may be a bit of a slow song, i still think it will go far! Enjoy! Busta Ryhmes' latest album ''Blessed'' is set to be released on June 17th (my birthday, lol) and it seemed like forever since the first single leaked. Well today, iTUNES was the first to get their hands on it, and now the rest of the world has it! The song is called "We Made It" featuring the rock group Linkin Park. The song is still the old Busta but now with a rock feel blended into it. I'm really loving this song, and I think this can be one of his biggest hits ever. The video is really cool too, and I could see it going far also. I guess Jay-Z isn't the only rapper who can succesfully experiment with rock. Enjoy!! Amy Winehouse: Back on the Streets! Amy Winehouse, the Grammy-winning songbird was released from police custody Saturday, a day after being arrested for allegedly head-butting a man at a bar earlier in the week. 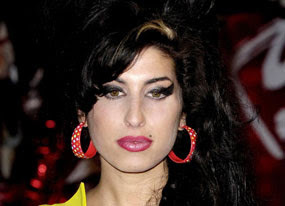 Winehouse voluntarily turned herself in Friday and was held overnight for questioning. She received a formal caution, but no charges were filed. According to a statement from her reps, "The singer admitted to a common assault by slapping a man with an open hand and accepted a caution. Amy was fully cooperative with inquiries and apologized for the incident. She thanks the police for their professional handling of the matter." The assault will remain on Winehouse's permanent record and could count against her if she is ever charged for a similar offense in the future. With the re-release of her album ''Good Girl Gone Bad'' out next month, Rihanna's current single, "Take a Bow" is doing actually quite well, way better than I had expected. The track, is a nice ballad, not one of her best though. The video, isn't that great also. It is just like every other video for a pop-love ballad. But the thing I hate the most about this video is how she fricken looks like a man with this new haircut. I absolutely loved Rihanna back in her video for "Umbrella", but now she just looks terrible. I hope her newer videos will feature the old Rihanna. Enjoy this! As one of the biggest producers of the musical world, many people didn't expect his musical career to be that great. But, 2 albums later Ne-Yo is fire, and one of the biggest r&b singers of this decade. His latest single "Closer" is an amazing piece of music, unlike anything from him before. The video, is even more amazing! It is just so creative and fun to watch. His latest album, ''Year of the Gentleman'' will be out by the summer. Enjoy! After years of hits, lately R. Kelly's musical career has been a dump. His last release ''Double Up'' had 2 great hits, including "Same Girl" with Usher, but everything else off it failed. Well now Kells is making a comeback to hip-hop! His latest single is called "Hair Braider" and it is a nice midtempo r&b song. The video, like most his other videos, is just boring club scenes with hot girls, lol. Hope this makes it big though, for his sake. Enjoy!! Yesterday, 4 contestants, Nichole, Tiffanie, Chrystina, and Natalie were chosen as the winners of the show The Pussycat Dolls Present: Girlicious, and now they are the new girl group Girlicious! Their first single, "Like Me" is a hot radio club banger track. The video for it, is great also! There's nothing much to it but it is just fun. The video also features an appearance from rapper E-40. Yes, these girls are a bit sluttier than thier fellow labelmates The Pussycat Dolls, but I think everyone can enjoy them! Can Alicia Keys' musical career get any bigger? With her hit single "No One", and the very successful "As I Am Tour'' which will be headlining in Chicago tomorrow, Ms. Keys is at he top of her game. Her latest single, "Teenage Love Affair", is almost reaching the charts, and with the video out now, it will become a hit very soon. The video is nothing like Alicia, but in a very good and creative way. She also looks very pretty her, which is a good thing. This videos theme, will just make it huge. Enjoy! Usher's latest single, ''Love in the Club'', has been a phenomenon on the charts, and has been one of the most successful songs this month. His album, ''Here I Stand'', is set to be released May 27th, and tracks are finally leaking out. Here is a new remix / Part II to "Love in this Club" featuring Beyonce and Lil' Wayne. I'm guessing this might just be his 2nd single, because it is really good! It is slower, but the addition of B and Wayne makes it great! Enjoy! Remember back a couple of years ago when the Pussycat Dolls became the biggest selling girl group starting with their hits "Don't Cha" and "Buttons". Well their creator, Robin Antin, if you don't know, has started a search for another girl group to follow in PCD's footsteps. They were all selected on the show, Pussycat Dolls Present: Girlicious and now the 4 girls are making their debut as a group. Their first single, "Like Me" is a hot hip-hop influenced pop track, as well as another song entitled, "Stupid Sh#t", which leaked along with it. I absolutely love them both, and I know that these girls will be successful in their future. Enjoy them!! Ever since branching out of the Black Eyed Peas, Fergie has been one of the most successful solo acts in the US. With her hits like the catchy "Glamorous" with Ludacris, it seems like this lady will never back down. Her album is set to re-release early this summer and the first single off it is a midtempo song called "Labels or Love". It's no "Clumsy", but I really like it, and it is really catchy! This is going to be another huge step in her career. But don't worry if you miss BEP. They are already back in the studio recording their next album, out later this year. Enjoy! Slowly, Madonna's album ''Hard Candy'' is leaking. Today, 6 new Madonna songs were released, "She's Not Me", "Heartbeat", "Incredible", "Give it 2 Me", "The Beat Goes On" featuring Kanye West, and "Miles Away". I will not be posting them, just my favorite 3. "She's Not Me" and "Give it 2 Me" are really fun, uptempo dance-pop songs, while "Miles Away" is a bit salsa-electro mix song, which is my absolute favorite of all 6 songs. Only a couple more songs are left to go, and I just cannot wait! These are all really addictive, and I know everyone will love them! Enjoy 'em!! Mary J. Blige's latest release, ''Growing Pains'' has been her most successful release in her lifetime, but her 2nd single choice is really disapointing me. Her 2nd single, "Stay Down" is a very smooth soul track, that is not very appeling at all. The video is very intersting, and it is clearly all green-screen effects. But, even thought the song may be boring, it has a really nice meaning to it. Hopefully, she releases "Work That" featuring Busta Ryhmes, as the next single. Enjoy!! Yes, you can say Kylie Monogue's newest album, "X" was a total flop here in the US, but her diehard fans still love it. I really hadn't cared for the album either until I head this single, "All I See". It is a really nice pop song, but with a very cool, simple video. The video has nothing interesting about it, but I love that it was filmed, which makes it very special. She also looks gorgeous here, which I think is something very important to mention. Enjoy! Foxy Brown: Free At Last! Foxy Brown was released this morning from Rikers Island after serving eight months of a yearlong sentence for a series of probation violations. The 29-year-old hip-hop star, had been locked up at the Rose M. Singer facility at the New York prison since October. Police were present as Brown made the walk out of the compound to her waiting fleet of vehicles, taking time out to hug and take pictures with the scores of fans and well-wishers who had come to cheer her on. Several bore signs reading "Welcome Home" and T-shirts stating "Free Foxy Brown." Also present was Brown's mother, along with a hair and makeup artist. For her walk to the car, the rowdy rapper changed into a brown leather jacket and wore a leopard-print scarf over her hair. Brown eventually made her way into the backseat of a chauffeured white Rolls-Royce Phantom and was driven off with a caravan of security and paparazzi behind her. In September, she was sentenced to 12 months for a series of violations in the wake of her October 2006 guilty plea for misdemeanor assault in a well-publicized 2004 case involving two workers at a Manhattan nail salon. After her plea, Brown was placed on three years' probation. But she couldn't manage to behave herself and repeatedly ticked off officials by leaving the state without the court's permission, getting thrown out of an anger-management program for allegedly threatening a worker and for additional assault allegations after she reportedly hurled a BlackBerry at her Brooklyn neighbor. As for the rapper's future, she already has at least two projects lined up. First up is filming on an untitled reality show that will chronicle her adjustment back into life as a free woman. Last week, her rep told Billboard she was in talks with several networks for the project, with Vh1 reportedly the frontrunner. Brown is also expected to make some promotional rounds in support of her oft-delayed new album, ''Brooklyn's Don Diva'', due out May 13. Best of luck to you, and please Foxy, don't do something dumb again. Here are the the monthly poll results for the poll which ran from March 23rd to April 18th. With a total of 157 votes, this has been our highest reaching poll ever! It was kind of a given that pop would have the most votes, since mostly everything here is about pop music. I'm very surprised rock got 15 votes, since I highly doubt people who like rock visit here. A new poll is now up and so go ahead and vote! And be sure to spread the word about M&M ~ Music Mania! Nelly's newest single, "Party People" featuring Fergie is just fire, but it may have some competition with this brand new Nelly track entitled, "Body on Me" featuring Akon. This song is very catchy, and will be hot in the clubs! The only concern with this song is that Akon sings way too much, and Nelly is barley in the song, since it is his track. Otherwise, I can't wait until his album ''Brass Knuckles'' comes out, cause with all these songs, I bet it will be HUGE! Enjoy! British singer, Natasha Bedingfield recently released her album ''Pocketful of Sunshine'', and it is doing tremendously well! Her second single off the album, "Pocketful of Sunshine", is an amazing song, and after seeing the video, I just love the song more. The video, is just incredible! It tells the story of 3 individuals, who are struggling with their own issues who eventually resolve them. I especially love the ending, where Natasha (who looks just gorgeous) is dancing all Arabian / gypsy as she floats into the sky. Enjoy this incredible video!!! ''Departure'', Jesse McCartney's latest album is set to drop later next month, and the current single, "Leavin'", is doing incredibly well on the charts and the radio. The all grown-up child star recently celebrated his birthday and posted up a special song on his MySpace called "Make Up". It is a real cool song, and I am really liking the way this album is going to sound. J-Mac really has grown up, and he is doing great at it! Enjoy! Ashlee Simpson & Pete Wentz: Future Parents? Ashlee Simpson's new album drops next week, but her biggest project to date will take a little longer to incubate. The freshly engaged "Pieces of Me" singer and Fall Out Boy member Pete Wentz are expecting their first child, a source close to Simpson told online gossip sites. "It's very early" in the pregnancy, the insider said, adding that Simpson, 23, and Wentz, 28, informed their families of the impending stork delivery just last week. Over the weekend, the couple began divulging the happy news to a few close (and apparently loose-lipped) friends. Wentz, however, quickly called foul on the pregnancy reports, denying that there's any "shotgun" involved in their upcoming wedding. "There is a witch hunt for people to be pregnant whenever they get engaged in Hollywood," the rocker wrote in an email to MTV News. "This is all news to me. I can't wait for the story about how I'm really in a gay relationship and this is all just a cover. I mean really, this is crazy...I mean we're engaged, that's true, and happy about it." When asked specifically if he was denying that Simpson was pregnant, Wentz replied, "Yeah." As for the couple's families, the only announcement they made Monday was to congratulate the lovebirds on their planned nuptials. "We're very happy as a family and excited about the engagement," Joe Simpson told E! News' Ryan Seacrest on Monday. "We think Pete is the right guy for Ashlee." Wentz's mom, Dale, also was quiet when it came to taking about grand kids and focused on the couple's other news. "We think that they are great together and are thrilled to have Ashlee join our family" the school administrator told E! News. Expect the younger Simpson to get peppered with pregnancy questions as she makes the rounds in New York later this week to hype her upcoming third album, ''Bittersweet World'', due April 22. Ashlee Simpson has been slowly climbing up the charts this last couple of months trying to promote her single "Outta My Head (Ay Ya Ya)" off her album ''Bittersweet World''. The album is due out in a couple of weeks, but it hasn't leaked yet. But, a bonus track already has! The first bonus track is a mid-tempo song called "I'm Out". Its not very interesting, yet not really boring, just in the middle. I just hope her album will surpass her failed singles and this bonus track. Enjoy! After the success of High School Musical, Vanessa Hudgens decided to branch out into a solo career. It became quite successful with her debut album, ''V''. Now she is back for a second time with a brand new album out this summer! The first single is called "Sneakernight'', a very weirdish pop-funk song. I gave it some time to grow onto me, but in the end, I'm not feeling it. I don't think this is a very good single choice at all! Well this may be making frenemy, Ashley Tisdale happy, lol. Enjoy, I guess! 2 summers ago, Cassie was a instant phenomenon, with her hit single, "Me & U". 2 years later, Cassie is back onto the music scene with a new album, ''Connecticut Fever'' set to drop this summer. Many songs and demos like "I Don't Love U" and "Is It You?" have leaked this past year, but today her official first single was released, entitled "Official Girl". Straight up, I think this is a very bad single choice. She has more potential with other songs, and the song is very bland to me. She really needs a replacement soon, lol! Enjoy! Mariah Carey's ''E=MC²'' is probably my favorite album of all time, with all of the songs on it, being hits to me. But when this bonus track off the Japanese version leaked today, it all changed. The song is called "Heat", and it is one of the biggest disappointments, ever. The track is nothing like Mariah and it has a little to much soul-pop in it for me. Everybody seems to be enjoying it, but let's face it it is nothing like "Migrate" or "O.O.C", which are incredible. Thank God this did not make the album! Enjoy! The preview of this video leaked almost 2 months ago, and today, Ms. Kelly's new video has premiered! Her latest effort, ''Ms. Kelly'', has literally failed, even though I loved it, but I think this video will change it all! The song is hot, cool, fresh, and the video is that and even more! She looks absolutley gorgeous, and she has really changed from her early Destiny's Child days. I hope people stat seeing her as a solo star, rather than Beyonce's bff / low-budget singer. Enjoy! Help Support M&M ~ Music Mania! Hey everybody! This is the blog owner, CharoogAjram, here to make an announcement. I have been noticing the blog ranking on the website BlogToplist, going down. Last week it was at #125 and now it has severely dropped to #192. So I tell you now, to please help support this blog. I work really hard on it and if I don't some appreciation back, I will stop posting. So all I ask of you is to please vote at the button below. Just one vote can help a lot! So please, and thank you! With so many hits and billions of fans, Chris Brown is one of the greatest male singers of this generation! His latest album, ''Exclusive'' was a phenomenon and he's planning on re-release it this year with even more hits! The first track leaked from this re-release is a great pop-electronic song called "Forever". It reminds me sort of "The Way I Are" with something a male version of Heidi Montag would sing, lol. But, no, it is one of his best tracks, in my opinion. Enjoy it! D/L #1: Chris Brown ~ "Forever"
D/L #2: Chris Brown ~ "Forever"
The Pussycat Dolls have been the most successful girl group to come out this past decade, but when lead singer Nicole Scherzinger decided to branch out into a solo career, it wasn't all the best. Her first singles "Baby Love" and "Puakenikeni" in my opinion were great songs, though they didn't become popular. Now Nicole has recorded a new song, "Rio" for a Brazilian soap commercial. I love Nicole, but this truly is one of her worst songs, ever. She could have come up with a much better track in my opinion. But, thank god she has re-united with the Dolls and they are working on their sophomore album. I guess, enjoy! D/L #1: Nicole Scherzinger ~ "Rio"
D/L #2: Nicole Scherzinger ~ "Rio"
Since his duet with R. Kelly, "Same Girl", Usher has been laying low and concentrating on finishing his new album. But, Usher has returned to the music scene with his new video for "Love in This Club". The song is very catchy and one of my favorites, but the music video just tops it all off! The video obviously takes place in a club and it has a great storyline. I just don't like how it is so dark! But it is a very good video for a great song! Enjoy! With 10 more days left to go until E=MC², songs are finally being released in HQ! I'm talking about Mariah Carey's brand new songs! Very recently leaked are the songs "Bye Bye" and "That Chick". "That Chick" is a very uptempo, pop track and "Bye Bye" is a beautiful song about all the ones we miss. Personally, I love them both! I think this album will be huge and one of her best. I am also really excited for the songs "O.O.C." and "Side Effects" which I just loved from the 30 second previews on Amazon.com. Enjoy and me looking out for more MC songs to leak in the coming days. And yes these are in HQ. D/L #1: Mariah Carey ~ "That Chick"
D/L #2: Mariah Carey ~ "That Chick"
D/L #1: Mariah Carey ~ "Bye Bye"
D/L #2: Mariah Carey ~ "Bye Bye"
Beyonce & Jay-Z: Today May Be The Big Day! 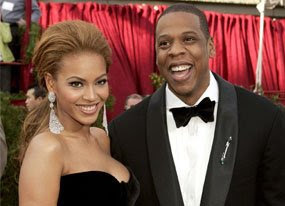 After days of speculating and wondering if today is the marrige date of Beyonce and Jay-Z, we might soon find this out! According to reports on Tuesday, the cuople aquired a marriage lisence on Tuesday, and they are set to supposedly tie the knot tonight in NYC. This maybe all be a rumor but sources has very eclusive information that was given to the guest list, which includes tennis superstar Serena Williams. Supposedly, they are all to wear ivory, and the marriage location wasn't even printed on the invitations! Other gossip sites has calculated the date of the wedding through many facts about the 2, and the day that always comes up is 4/4/08 (Today)! Here is some evidence. Beyonce's birthday is September 4th and J's is on December 4th. They both have the Roman numeral IV (4) tattooed on their ring finger, Jay-Z owns the 40/40 restaurant & bar, and becuase simply 4+4=8! I think they are getting hitched tonight, and it may be in a matter of hours! Right now it is 3 o'clockish in California, so Eastern time is about 6 o'clock I think. The wedding will most probably be held after 7 or 8, or it may be happening as you read this! We will keep you posted! Where really has Avril been this last year? After releasing her hit singles "Girlfriend" and "When You're Gone" from her album ''The Best Damn Thing'', she just suddenly disappeared. But now, the princess of punk-pop has returned with the long overdue video for her newest single "The Best Damn Thing". The track is just pure fun, and it just makes you want to get up and go crazy! Hopefully, she will be getting back into the recording studio to record the follow-up to this album, becuase I really miss her music. Enjoy! In my opinion, Madonna is the second greatest female artist of all time, just coming in second to Cher, but with the release of her new album ''Hard Candy'' this month, I think it is all about to change. Her first single, "4 Minutes (To Save the World)" is just fire, and as of now, so is the video! It is a work of magic, and unlike something ever seen by mankind. In the video, JT and Madonna are out to try an save the world in 4 minutes, and it seems like a Nintendo video game the way they go through all of the levels. This video will dominate this year! Enjoy! Many people view MySpace singer and bisexual reality TV star Tila Tequila as a joke, but the girl can really sing. I especially love her song "Paralyze" and today was the premiere of her new video for it! This video is very hot and way better than her 2 other videos. Tila will be coming out with her first album very soon and season 2 of her show A Shot at Love will be premiering April 22nd on MTV. A lot is ahead for her, and I wish her the best! Enjoy!! With the release date coming closer for Mariah's new album ''E=MC²'', it seemed like an eternity for some more songs to leak. But, today our prayers were answered! Buzz track "Migrate" featuring T-Pain has been leaked in little clips, snippets, and as a live remix, but not as HQ. But Chicago radio station just premiered the song, and here is the radio rip!!! I am loving this way more than "Touch My Body". This song is fire, and yet it may be a bit mellow, it still will become a club banger! Enjoy!! *EDIT 2: OFFICIAL CDQ HQ NOW POSTED. NO MORE RADIO RIP, ACTUAL HQ FROM CD!!!! D/L #1: Mariah Carey featuring T-Pain ~ "Migrate"
D/L #2: Mariah Carey featuring T-Pain ~ "Migrate"
Kanye West's newest album ''Graduation'' has made this rapper a household name. His album is just amazing with hits like "Stronger", "Flashing Lights", "Good Life" and hopefully his new single "Homecoming" featuring Chris Martin. This song is just beautiful, and I am really loving the beat. The video is real nice too, and features an appearance from fellow rapper Common. This last year has been like a rollercoaster for Kanye, and I wish him all the best with this video. Enjoy! !